Water is an apt metaphor for freedom, as life as we know it on earth is totally dependent on it. You can’t have the “red, white, and blue” without a little black mixed in. Black – referring to the sacrifice or cost of freedom, whether it’s lives, fortune, energy, or time. As the cliché goes – freedom isn’t free. The piece offers a nuanced understanding of freedom with regard to the water crisis in Flint, Michigan and separated relationship between White and Black America. The work challenges the complication associated with understanding the water crisis as a source of conflict between white and black Americans. 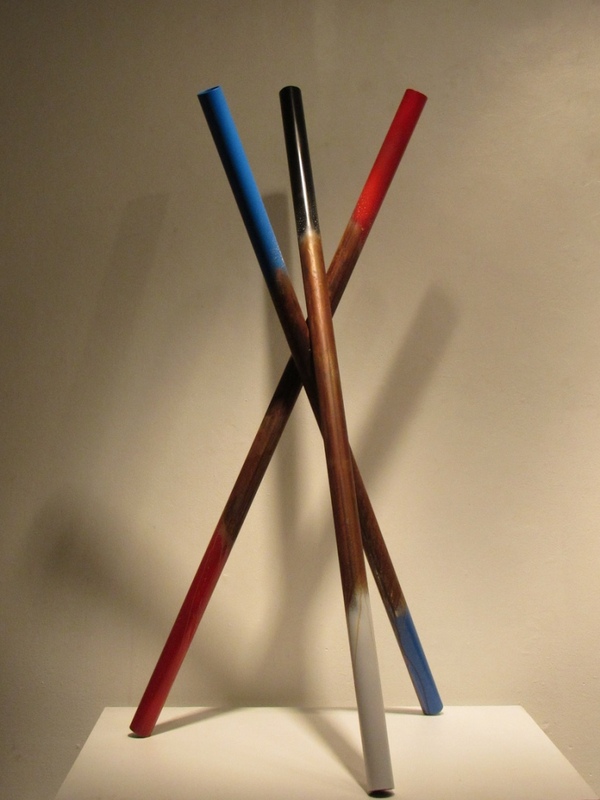 Whereas the typical color representation of America is found in red, white, and blue, this piece adds the additional colors of red, black, and blue in serving as a reminder that America was fundamentally built with Black and African American labor that has and continues to seek freedom of an equal realm with White America. 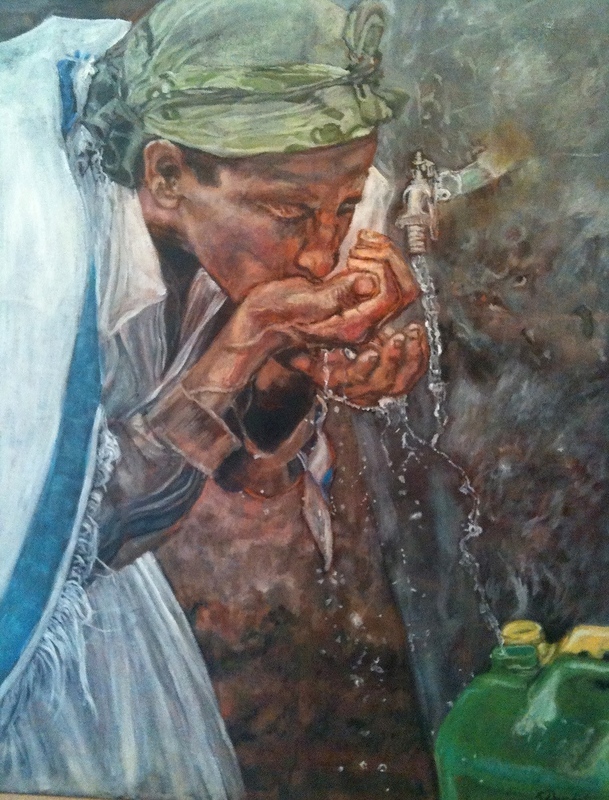 The piece correlates with Flint, Michigan as the rusted section of the steel pipes represents a “weathered” barrier in the quest for equality and socioeconomic freedom between Black and White America. 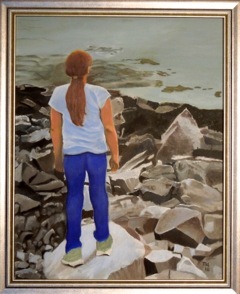 “Wholly Water” (painted from an photograph with permission from the organization, “Glimmer of Hope”, which seeks to provide clean water for areas of Ethiopia), can arguably be a way to understand how freedom imagined BECOMES freedom lived. This woman, for the first time, is experiencing the very simple joy of clean, running water, water that represents freedom from endless rounds of hauling pails of dirty water for cooking and drinking. But this new freedom has been made possible by an organization of people who imagined this project into being. This, I would offer, is one way to understand how our freedom to imagine can free the collective society in which we live, and help our individual humanity find fuller and freer expression. This project was inspired by the Amazonian canoe that a delegation of Kichwa people from the Sarayaku community in the Ecuadorian rainforest brought to Paris during Climate Change Conference of 2015. As the President of Sarayaku stated, “Our canoe is a symbol of life and peace from the heart of the Amazon…” For centuries, Indigenous peoples worldwide have been struggling for self–‐ determination, land and religious rights. Therefore, the appearance of this canoe in the waters of Paris’ Seine during such a crucial time in history stands out as a powerful manifestation of Indigenous peoples’ right to be free to define themselves in relation to the Earth, and to determine their own destiny in the Amazonian region. In keeping with the ancient tradition, local masters carved the canoe out of a cinnamon wood tree in the shape of the rare hummingbird fish. 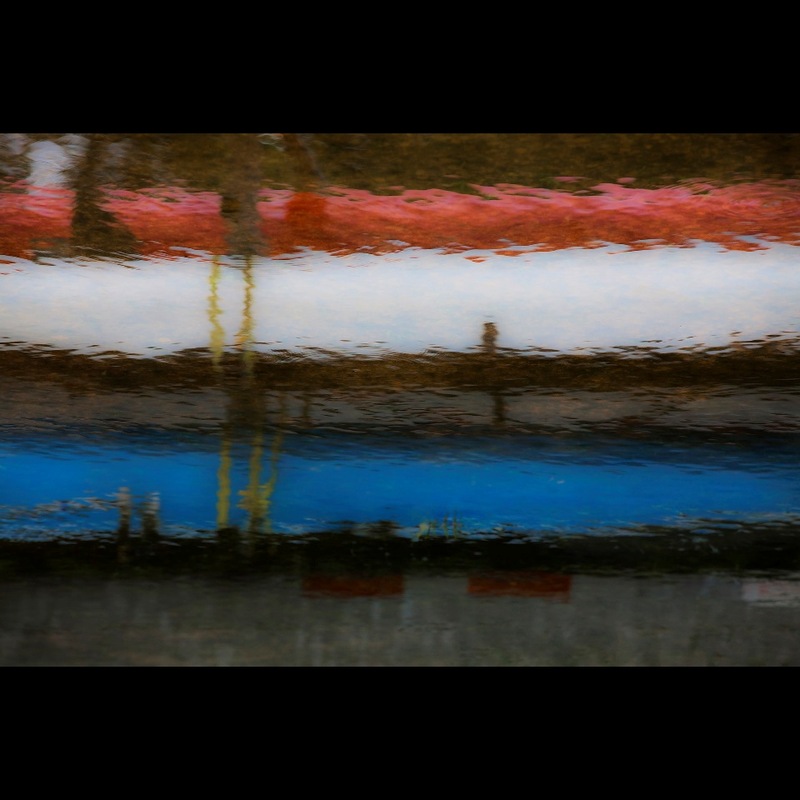 In the painting, this is represented by the red–‐colored lines mingling in harmony with the blue water. 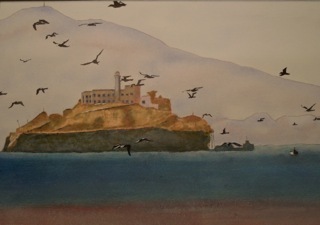 “Birds hovering around the foreboding shadows of a prison…. lost dreams…lost faith…lost joy pervades… Only the freedom of birds brings a glimmer of hope to the downtrodden…a pipe-dream to wretched souls entrapped in the bowels of this darkest of American icons”.